likely than those in the highest-income bracket to say that their mental health is fair to poor. Without access to quality employment many people rely on income supports from social assistance, which are inadequate to maintain a decent standard of living. Similarly, access to an employment service provider specializing in employment supports for persons with mental health conditions can help increase the changes of gaining employment that is meaningful to the job seeker and pays a competitive wage. CMHA Ontario, along with numerous organizations and provincial networks, has long called for poverty reduction strategies that increase access to economic and community supports for vulnerable populations. CMHA Ontario is active in supporting people with mental health and addiction issues to reduce their risk of living in poverty. We do this by advocating for increases in supportive housing, effective employment support programs and equitable income support policies, such as the Ontario Disability Support Program (ODSP). It is well recognized that for many people with mental health disabilities, the Ontario Disability Support Program (ODSP) is their first and only source of income. According to the latest estimates (2015) by the Ministry of Community and Social Services, approximately 45% of all current recipients of ODSP have a mental health disability. ODSP policies have a huge impact on people with lived experience of mental health and addictions issues (PWLE). Stakeholders acknowledge that current income support policies under ODSP are not working to support PWLE to encourage participation in the workforce and existing policies may be achieving the reverse effect. Research studies have shown that the fear of losing disability benefits was one of the key barriers to obtaining and maintaining employment for clients with severe mental illnesses. In other words, current income support policies that deduct additional earnings serve as a major disincentive for people to want to work more, or in some cases to even want to seek employment. Inadequacy of current ODSP levels to adequately address basic needs like food, shelter and transportation are other barriers and often linked to systemic poverty. Current income levels are not enough to live successfully in the community. Phase 2 of the Ontario’s Mental Health and Addictions Strategy includes a focus on expanding employment supports as one of its pillars. Ontario’s Poverty Reduction Strategy commits to reducing poverty among children and youth through targeted investments and supports. The Strategy also aims to provide transitioning youth to meaningful employment, education and training opportunities, while expanding income security for the most vulnerable in our province. The Strategy is placing a strong focus on housing, in particular, on ending homelessness, to provide the stable foundation that helps people rise out of poverty. CMHA Ontario works in partnership with stakeholder groups that are raising awareness of employment support options and working to improve the quality of life, especially regarding issues of income adequacy and poverty. 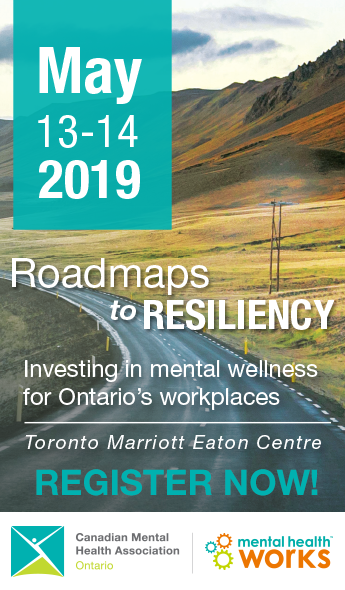 In this regard, CMHA Ontario partners with the Ontario Disability Employment Network (ODEN); and Ontario Disability Program (ODSP) Action Coalition and the Income Support Advocacy Centre (ISAC). CMHA Ontario has collaborated with the Ministry of Community and Social Services on a number of recent policy initiatives, such as changes to the ODSP Work-Related Benefit, ODSP Medical Reviews and ODSP Medical Transportation. As part of the overall transformation of income support in Ontario, the Ministry of Community and Social Services is improving the medical review process for people with disabilities who are receiving ODSP. These changes are designed to reduce the burden on clients, health care professionals, stakeholders and staff by creating a more client-friendly and efficient process that is both fair and accountable. CMHA Ontario is contributing in this transformation process as a member of the MCSS Disability Adjudication Working Group since March 2016.